Goshen Fire Department members Sgt. Jared Erb, left and Pvt. medic Jon Yoder clean up the yard in front of the College Avenue fire station Wednesday afternoon. 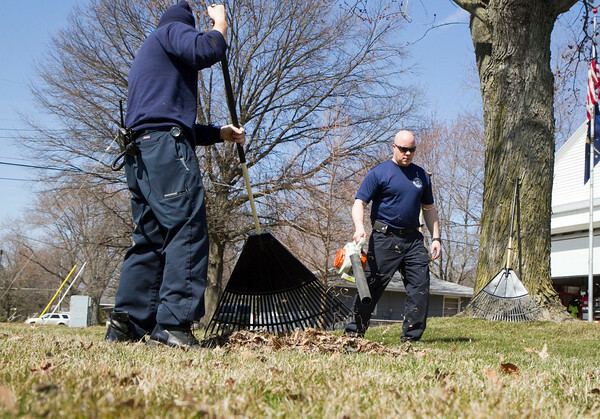 The warm temperatures and sunshine made it easy for a lot of locals to get outside and clean up their yards to get ready for the spring growing season.